It always happens that, through an oversight or poor planning, we forget to cool drinks before our guests arrive. What we usually do is to put them in the freezer, but then it also occurs to us that we forget some and then they’re deformed and completely frozen. Things the human beings… Let us show you a trick to please your poor guests! Exactly. A group of scientists from the University of Utah in the United States has shown that water doesn’t totally freeze at 0ºC but at -13°C. This is because at 0°C the molecular structure of water doesn’t change completely, a lower temperature’s needed to cause this change. This time’s when water adopts tetrahedral shapes, where each molecule binds with other 4, forming ice cubes, but don’t think of those transparent and perfectly squared ones of your freezer! This scientific “milestone” has to do with the Brinicle or iced arm or death, but we’ll talk about this oddity in other post. 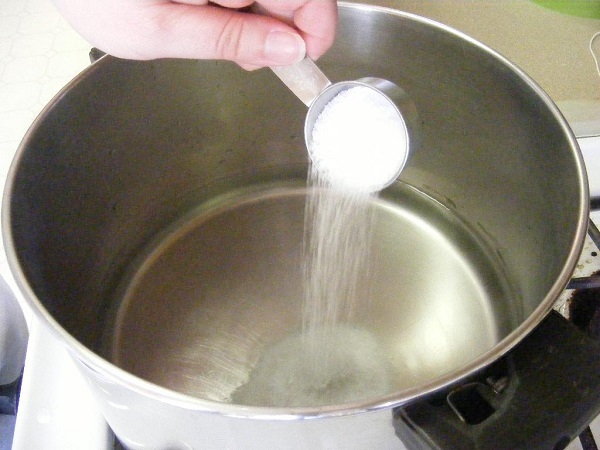 It has its explanation in the principle of the brine, which is something as simple as putting salt (sodium chloride) in water. Although introducing beers in water and ice cools them pretty fast, with the brine you get that effect much faster. The freezing point of water with salt (brine) is much lower than water itself, and freezes about -2 ° C. We say about cause this is approximate and depends on the amount of salt in the solution. This solution tends to fade and for that it needs more water. The ice begins to melt and gives said water. However in that process heat is necessary, and it’s extracted from the saline (and the beers!). This process can reach -9 ° C.
To cool any bottle (beer, coke, juice, etc.) 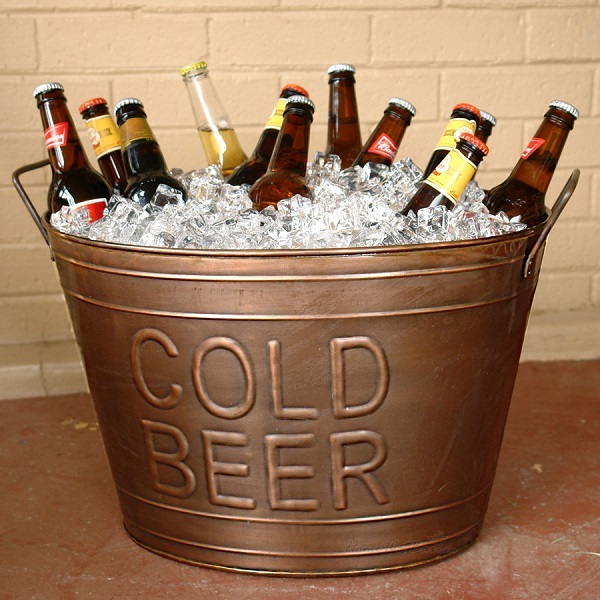 we take a bucket or large bowl, fill it with ice cubes and liquid water and then we put salt. We introduce the beers and wait some few minutes. In 3 they’ll be quite cold, but it all depends on the initial temperature of the beer, how hot it is, etc.